Martín is an elected Governing Board Member in the Pendergast Elementary School District. Pendergast serves over 10,000 students in 12 schools in West Phoenix, Glendale and Avondale. Martín is a native of Phoenix and is a product of Arizona public education. Martín believes in the impact of a great education on individual lives because of the significant role it has played in his own life. Martín holds a Bachelor of Science in Administration of Justice from Arizona State University’s College of Public Programs and a Juris Doctorate from ASU’s Sandra Day O’Connor College of Law. Martín began his career as a Research Analyst for the Arizona House of Representatives’ Democratic Caucus. As he witnessed the critical role of policymakers in state governance, Martín decided to pursue a larger role in government and law. After obtaining his law degree, Martín served a judicial clerkship for Judge Patricia Orozco on the Arizona Court of Appeals before opening his own law office. Martín is an attorney committed to social justice in Arizona. He currently uses his legal background and expertise in his role as the Democratic Whip in the Arizona State Senate, representing Legislative District #29 in Maryvale and Glendale. He was elected to the Senate in the 2014 General Election after serving two terms in the Arizona State House of Representatives. Stephanie is the Board Member for Phoenix Union High School District’s Governing Board in Ward 3. Stephanie is an educator committed to improving public schools in Arizona. A first generation American citizen, Stephanie was born and raised in Yuma, AZ and is a product of Arizona public schools. She is passionate about ensuring every student in Arizona receives an excellent education and is adequately prepared to succeed in college, career and life. As one of the first in her family to attend college, Stephanie understands the power of a great education. Stephanie holds a Bachelor of Science in Justice Studies, a Bachelor of Science in Psychology, and a Master of Education in Higher and Postsecondary Education from Arizona State University. Stephanie’s career began in children’s justice, where she worked to ensure children were in safe and strong homes. Through her time there, Stephanie saw how education could transform life opportunities for children. She then transitioned to higher education and worked at Arizona State University to make that dream a reality for more students. Determined to have an impact on education outcomes for students, Stephanie now specializes in social entrepreneurship and has a specific passion for coaching and developing education entrepreneurs. Stephanie worked for Teach For America’s Social Entrepreneurship and Innovation national team, where she helped educators become bold, creative and innovative leaders both inside and out of the classroom in order to solve the challenges facing public education today. Stephanie is currently the Executive Director for the T.W. Lewis Foundation overseeing the Foundation’s annual giving budget with a focus on education, children and families. 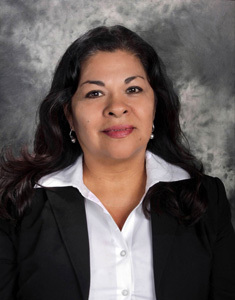 Francisca Montoya is a Board Member for Fowler Elementary School District. She serves as the Research & Planning Director at Raza Development Fund, the largest Latino community development institution in the U.S. providing lending to Latino serving non-profit organizations in healthcare, affordable housing, education and community facilities. Previously Ms. Montoya was employed with Friendly House, Inc., as Director of Strategic Development. 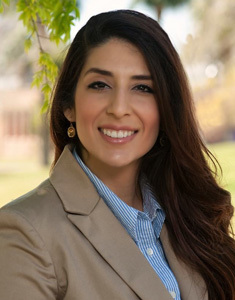 Her recent experience includes working with MALDEF as Regional Director for the 2010 Census and Arizona Regional Director of the Cesar E. Chavez Foundation where she was responsible for community relations, corporate fundraising, and program and grants management. Her career has spanned 25 years of experience in non-profit management. Francisca is a graduate of Arizona State University where she majored in Secondary Education and Health Policy. She is currently pursuing graduate studies in Community & Economic Development. She is a graduate of Valle del Sol’s-Hispanic Leadership Institute, ASU’s Women’s Executive Leadership 2000 & Beyond Program, and the MALDEF Latino Leadership Program. Francisca is also a graduate of National Hispanic Corporate Council, Corporate Executive Leadership Program class of 2014. In 2008 she was selected by Cox Communications as Latino Leader in the Phoenix market. In 2009 Francisca was honored with the Arizona Latina Trailblazers: Stories of Courage, Hope & Determination Award by the Raul Castro Institute. 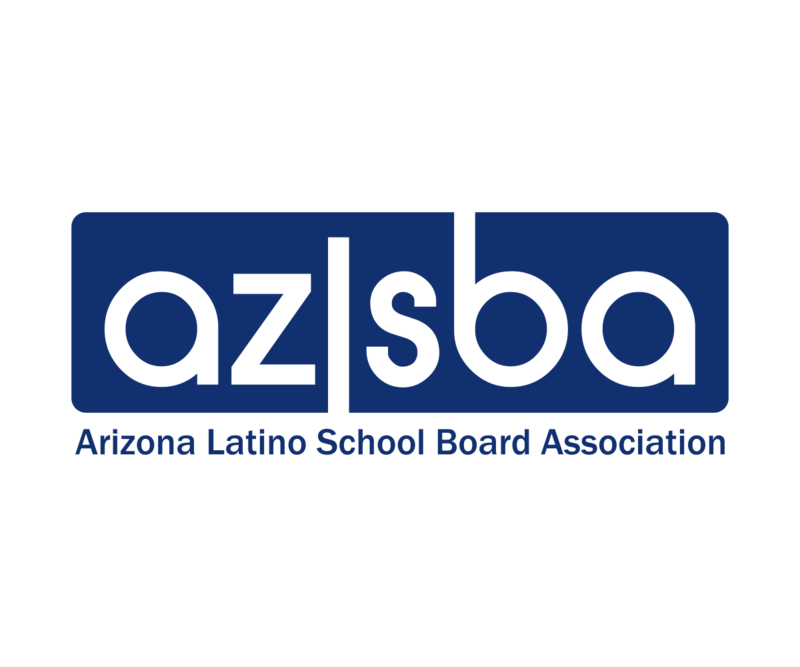 Most recently Francisca received the 2015 School Board Member of the Year award from the Arizona Association of Latino Administrators and Superintendents. Francisca Montoya is a lifelong resident of Arizona and is the first in her family to attend college. She has been active in the Latino community serving on various boards over the past three decades. Currently she serves on the Maricopa County Board of Health; City of Phoenix Estrella Village Planning Committee; and Chairs the South Ranch Scholarship Fund at the Maricopa County Community College Foundation. Corina is a Board Member for the Tolleson Union High School District serving six high schools and over 11,000 students spanning four cities. As a long time west valley resident, Corina is a proud mother of two beautiful daughters and is an active member of her community. As a single mother, Corina is committed to ensuring every student has the resources necessary to succeed in school and in life. As an adult learner, Corina understands how obstacles and inequity issues can affect a student’s academic career and how higher education and community resources can be instrumental in success. In addition to serving on the Tolleson Union High School District, Corina’s professional career spans more than 20 years as a public sector employee managing large teams that support core services directly impacting the community. Her professional career and technical skills in human resources, labor relations, contract compliance and workforce planning has solidified her role as a strong management strategic partner, a leader in her organization, and a valuable collaborative partner with other government entities and organizations. Corina gives back to her community by volunteering her time to Valle del Sol, Hispanic Leadership Institute, the Maricopa County Community Development Advisory Committee, participates in various community events and provides mentorship for women of all ages. Corina holds a Human Resources Certificate, a Bachelor of Science in Business Management and a Master in Business Administration. 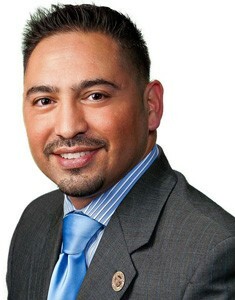 Jose Arenas is a Board Member for the Pendergast Elementary School District. He has previously served as a governing board member for the Tolleson Union High School District from 2006-2010. Jose is employed with the Phoenix Union High School District. He joined the Human Resources department in July, 2009 as the Assistant Superintendent for Human Resources. He had been principal of Trevor Browne High School for two years, 2007-2009. He was an assistant principal at Cesar Chavez High School from 2000-2006 and served as the District’s Director of Language Acquisition for one year. 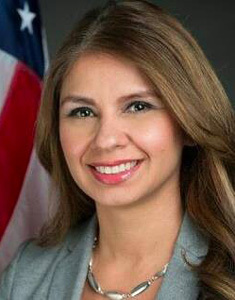 Arenas was a teacher for six years, assistant principal for three years and and principal for five years in the Isaac Elementary District prior to coming to PUHSD. He was principal of Butler Elementary for three years, and P.T. Cole for two years. A graduate of North High, Arenas earned his Bachelor’s in Elementary Education and his Master’s in Education Leadership from ASU. Arenas is a resident of Avondale, is married and has two sons. 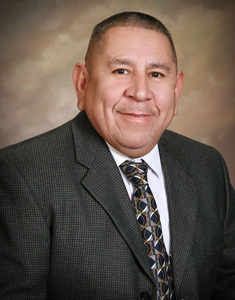 Rubén B. Gutiérrez currently serves the Pendergast Elementary School District Governing Board as the Vice President. His passion and commitment of serving all students with a quality and equitable education is always in the forefront. Mr. Gutiérrez began his career in the field of education in 1992 as an Adjunct Professor of Spanish for Northern Arizona University in Flagstaff, Arizona. Since that time, Mr. Gutiérrez has dedicated the past 23 years to working vigorously with the dynamic, multi-cultural and economically diverse communities across the state of Arizona to provide a first-rate education to students of every age. Mr. Gutiérrez’s resume includes working as a high school Spanish, ESL and Bilingual teacher, School Principal, K-12 Federal Programs District Director, Federal Programs/English Acquisition Services Specialist, and Arizona State Director for the Office of English Acquisition Services where he oversaw 350,000 students from 220 school districts. Mr. Gutiérrez is presently the Associate Superintendent for Riverside Elementary School District in Phoenix, Arizona. Mr. Gutiérrez has worked assiduously to increase academic achievement by collaboratively raising the bar for classroom teaching and evaluation, both of which has produced significant gains among low-income students. Mr. Gutiérrez has advocated for Latino Hispanic Initiatives for support with equity, funding, and educational rights by working with state, federal, and national initiatives to help close academic gaps that impact Latino Hispanic students. Mr. Gutiérrez earned a B.A. in Language Arts (Spanish) from Northern Arizona University, a M.Ed. in Bilingual Multicultural Education also from Northern Arizona University, a M.Ed. in Educational Leadership & Supervision from Arizona State University, and is currently earning an Ed.D. in Organizational Leadership K-12 from Grand Canyon University. Mr. Gutiérrez also served alongside then US Secretary of Education, Rod Paige as a catalyst for the US Department of Education for the Parents Right to Know Initiative. 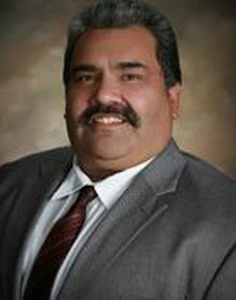 Ray D. Martinez is a Governing Board Member for Alhambra Elementary School District. Ray grew up in the inner-city of South Phoenix where he attended Lowell Elementary School and North Phoenix High School. Ray has been involved in community activism since the age of nineteen years old when he was active with MECHA at Phoenix College. After graduating from Phoenix College, Mr. Martinez eventually began his career with the Arizona Department of Corrections where he spent twenty-three years until his retirement in August of 2007 as Deputy Warden. Mr. Martinez continued his educational goals while employed with DOC and attended Grand Canyon University where he earned both his undergraduate and graduate degrees. He holds a Master of Science in Organizational Leadership. Ray is currently employed with the Phoenix Union High School District at Maryvale High School in campus security. Vince Moreno began his first term as a Tolleson Union High School District Governing Board member in 2013. He holds a master's degree in administration from Northern Arizona University and a bachelor's degree in organizational studies from Arizona State University. 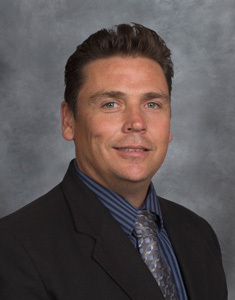 Mr. Moreno has worked for the City of Phoenix for sixteen years, currently as a Principal Engineering Tech in the water engineering design and construction division/water production division. He also served in the U.S. Navy and the Hawaii Air National Guard. Mr. Moreno participates in the University High School parent engagement group, and he helped the district pass the 2010 override. He also chaired the YES committee that successfully saw the district join West-MEC. He believes a strong school district will create a better community for all who live in the community.